Not everyone loves green nail polishes but I think it makes a change from boring red and pinks. 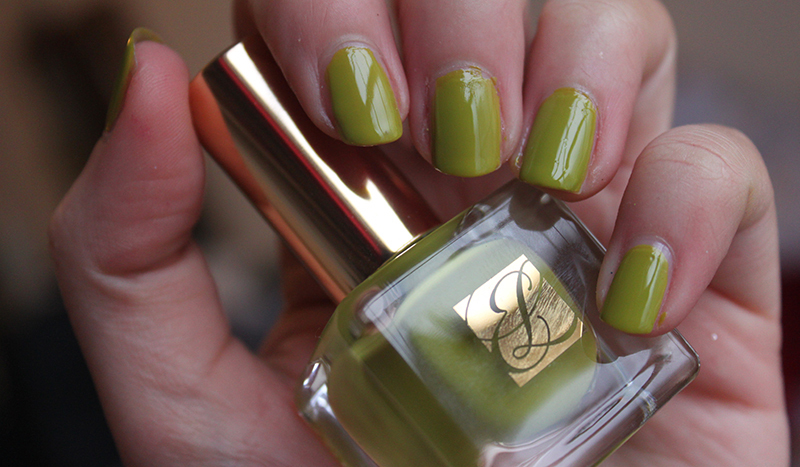 This Estee Lauder green caught my eye straight away, it is part of the Spring 2013 Heavy Petals Collection. It’s called Absinthe* and is a real avocado true yellow based green. After the first layer I thought I wouldn’t really like the nail polish, it applied sheerly at first but with just two coats I actually got the opaque look achieved in the photo and it was completely streak free! In the official pictures it looks a little lighter and I must admit I would have preferred it that way as it looks a little more summery. I’m very excited to use this in the summer with more of a tan as I think it doesn’t look as amazing as possible against my current winter skin colour. The packaging on all the Estee Lauder nail polishes is truly beautiful and classic, not that I would expect any less from EL. There are four other shades which all look beautiful and I can not wait to try a few more! 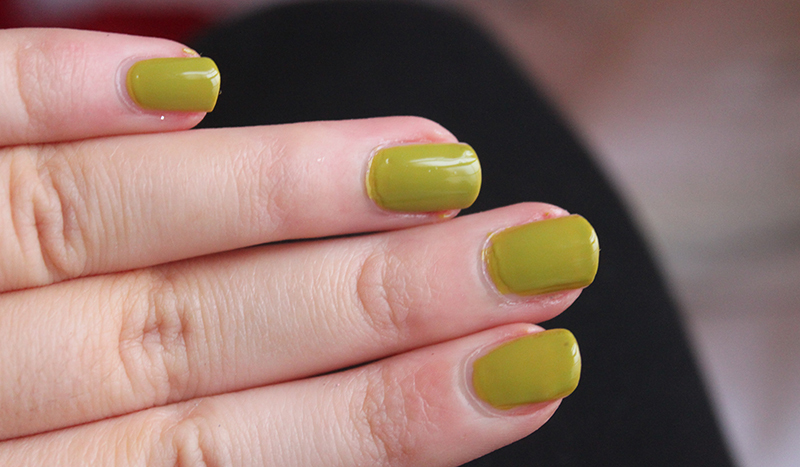 What do you think of green nail polish? 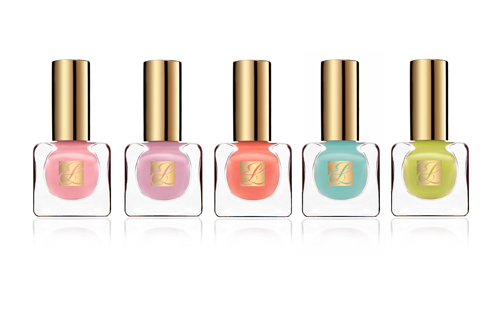 Do you have a favourite green polish? Completely! Now all we need is some sun! I had a colour exactly like this a few years ago but i had to throw it away 🙁 This however is the first time since that i've seen someone wear a colour similar! I don't think I'm brave enough for that colour aha, but I love the middle reddish/orange/coral/ colour one in the middle- how much are they? its such an odd colour, i think i am way too pale to pull this off! Not to be rude or anything, I'm a person who is honest when it comes to opinions. Barry M did a similar shade, i used it a couple of times and it stained my nails rather badly, but with a decent base coat, the shade looked lovely! I don't think I could pull that colour off! I love some of the others in the collection though! I'm really not a fan of green nail varnishes unless they are very dark…the other colours in the collection look fab though. I am not a big fan of green nail polish, however other shades in the last pic looks more than amazing!! This is a very different shade of green, love it. Sabrina I love your hair colour. Please can you tell me where you get it coloured or if you go DIY? I have dark brown hair but want to go lighter and I love your colour!!! Ah if I am honest, the colour really isn't for me but the finish is gorgeous, so shiny! I would def contemplate some of the other colours from the range! I really like it! 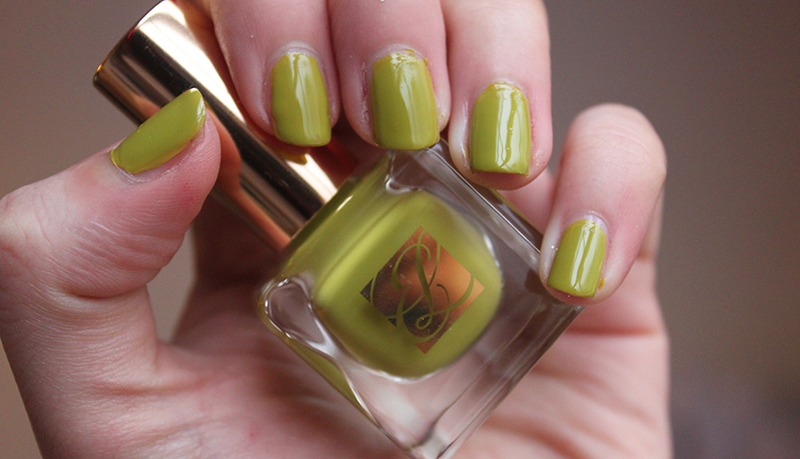 It's a bit yellower than most of the greens I own/wear (my favourite greens are usually blue-based) and yellow nails really don't suit me at all so I don't know whether this one would – but having seen the colour, I love it so much more on the nail than in the bottle! Did you use any top coat?